Other automotive companies, including General Motors, have faced similar accusations of allowing blatant acts of discrimination to take place on factory floors; The GM Building in downtown Detroit. Image via Maxpixel. Public domain. Nine African-American workers say they faced regular racism and severe harassment at General Motors Co.’s Toledo, OH, factory. The Toledo Blade reports that the nine employees—some of whom have since left GM—claim the company allowed overt racism, lending to a hostile work environment and fear-infused atmosphere. A lawsuit filed by the group claims that complaints of misconduct at Toledo Transmission were filed in March 2017, but that the company refused to act until June. The Detroit Free Press recounts how 59-year old Mark Edwards prepared for work on the morning of March 22nd. Turning a corner into his department, Edwards, who is black, found a noose hanging by his work station. Nooses were allegedly found around the GM factory floor. Supervisors did little to prevent the incident from recurring. Image via Maxpixel. Public domain. But Edwards, says the Free Press, isn’t a stranger to racial intimidation. A long-time General Motors employee, Edwards says he’s endured racial slurs and harassment for decades. While Edwards claims to have been diligent in reporting each incident to his supervisors, he says nothing was ever done to address misconduct. No matter what Edwards has faced, he told the Free Press that finding a noose near his work station was too much. He explained how, in 1968, his then-19-year old brother was bound with rope and severely beaten in a racially-motivated attack. The beating left his sibling permanently traumatized and irreversibly brain damaged. Edwards wasn’t the only employee targeted with hateful symbolism. On the same day in March, more nooses were found strung around the factory: three hanging from the ceiling, another on a valve. 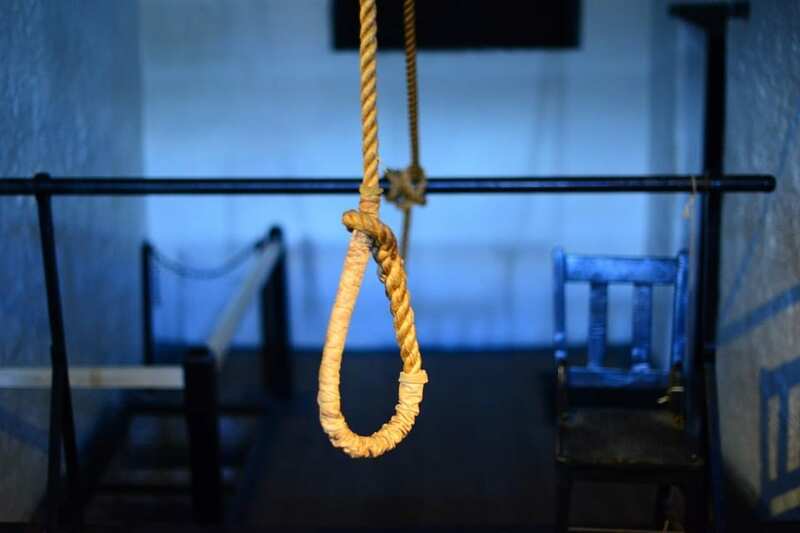 In April and May, another two nooses were discovered hanging in the plant’s assembly room, prompting a black worker to inform a ground supervisor. While Edwards opted to continue working with GM, he decided to bring a suit—and hopefully some change—with eight of his coworkers. The Free Press says that, since the suit was filed, General Motors has implemented some policy changes to address workplace harassment and ethnic discrimination. The company’s gone so far as halting production at some of its plants to give employees revamped training on its anti-discrimination policies. Statements issued by the General Motors and the UAW indicated training and policy reform but didn’t mention whether any employees had been disciplined for their alleged roles in discriminatory actions.